While most say beauty is in the eye of the beholder, let the world behold the beauty of your eyes with a SigmaÂ® brush in. Cruelty free and made of exclusive SigmaTechÂ® Fibers to create an even and precise application, as the soft, tapered tip gives excellent smudging effect around the eyes. 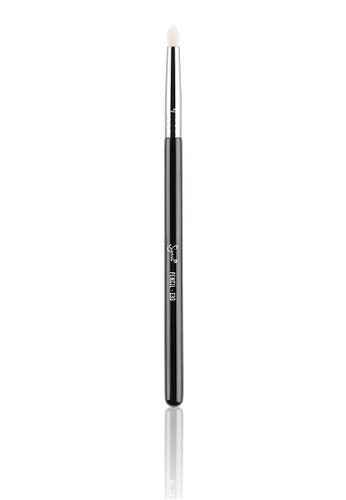 The E30 Pencil brush is also great to create soft definition by using shadow and smudging the upper and lower lash lines. Can't find E30 - Pencil Brush in your size? Soften pencil liners along the top and bottom lash lines. Add shadow to line the eyes or use to highlight inner corner of eyes.